SAN FRANCISCO — The National Japanese American Historical Society is hosting a retrospective of iconic posters from the Japantown Art and Media Workshop from 1977 to 2000. Two of the posters are about the quest for freedom for Chol Soo Lee, a Korean immigrant who was incarcerated over nine years for a Chinatown murder he did not commit and for a subsequent self-defense killing in prison, which resulted in a sentence on San Quentin’s Death Row. Sacramento Union reporter K.W. Lee’s investigative reporting raised questions about the convictions, sparking what became one of the first pan-Asian American organizing campaigns, uniting students, attorneys, Korean immigrant businesspeople and grandmothers, and people from all over the country. 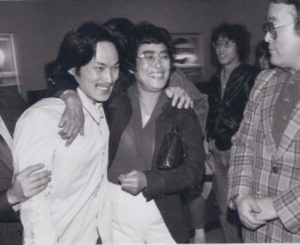 After a retrial in the Chinatown case that resulted in a verdict of innocence and later judge’s ruling in Stockton, Chol Soo Lee walked out of prison a free man on March 28, 1973. To celebrate 30 years of freedom, come hear from Chol Soo Lee, K.W. 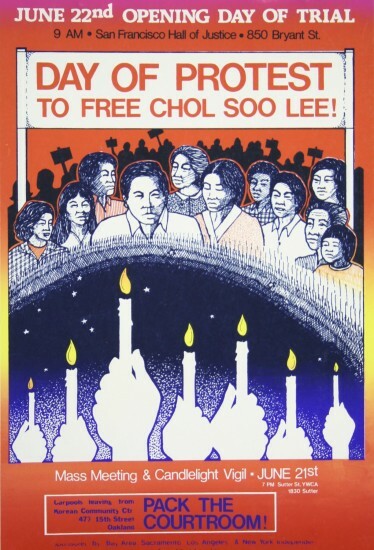 Lee, UC Davis Professor Richard Kim, who is finishing up a book on the case, and members of some of the organizations that worked to free Chol Soo Lee in an informal program on Saturday, March 9, at 2 p.m. at the NJAHS Peace Gallery, 1684 Post St. in San Francisco Japantown. Admission is free. For more information, call (415) 921-5007 or visit www.njahs.org.